As your trusted Fresno chiropractic center, we are dedicated to providing the highest quality of holistic healing care to patients of all ages. 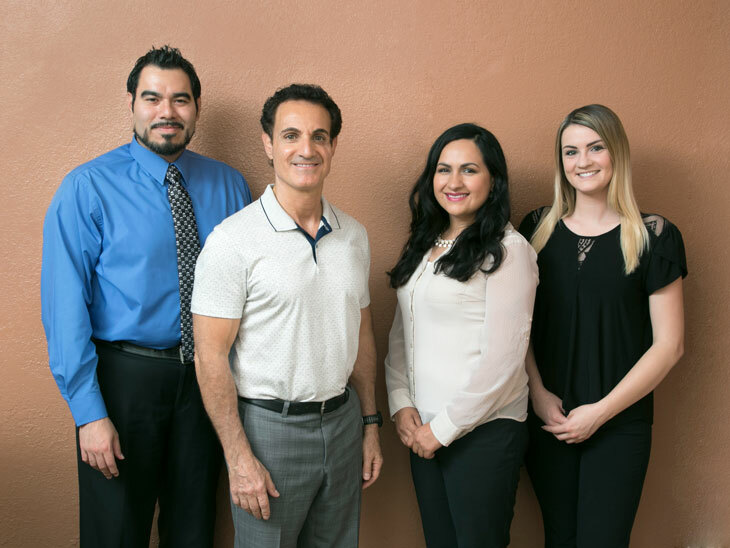 With many years of combined experience and a deep understanding of the importance of preventative care, we are proud to provide cutting-edge pain relief treatment in Fresno. Whether you’ve recently been injured in an auto accident, are experiencing pain related to a degenerative disease or you’re an athlete interested in preventative care –we are here to help you heal naturally and achieve an optimal level of overall wellness. Dr. Thomas Potigian grew up in Fresno, where he attended Fresno City College before graduating with honors from Cleveland Chiropractic College in Los Angeles. He has been proudly been providing general chiropractic care and sports injury treatment in Fresno since 1981. With a “whole person approach” to treatment, Dr. Potigian works to combine advanced manual techniques with state-of-the-art chiropractic procedures. In addition to providing holistic healing services to patients in the Fresno community, Dr. Potigian is also an author, having co-written the best-selling book, “The World’s Best Kept Health Secret Revealed.” He is joined by his long-time Doctor Assistant, William Elizondo, who has more than 12 years of experience assisting in chiropractic treatment and Bethany Cowell, our knowledgeable and caring Receptionist. Chiropractic adjustments are the foundation of our practice. Designed to help the body heal naturally by targeting the root cause of your pain and other symptoms, our skilled chiropractor can work to gradually correct spinal misalignments to relieve pain, reduce inflammation and promote faster healing. Often used in combination with regular chiropractic adjustments, corrective exercises can help to strengthen weak muscles and correct misalignments. Safe and easy enough to complete in the home or office, these simple exercises will also work to improve mobility and leave you feeling stronger. A healthy body begins with a healthy diet. Weight problems and obesity are common health risks that can result in poor posture, neck and back pain and more. Our friendly and knowledgeable team is here to help give you the tools you need to enjoy a healthy diet and supplement regimen. Want to learn more about the benefits of regular chiropractic care in Fresno? Call (559) 454-1000 or contact us online today to schedule an initial consultation.